An Anti-Immigration Speech Divided Britain 50 Years Ago. It Still Echoes Today : Parallels Half a century after Enoch Powell delivered the most incendiary political speech in Britain's recent history, his dire vision of race war hasn't come true. But it resonates in British politics today. 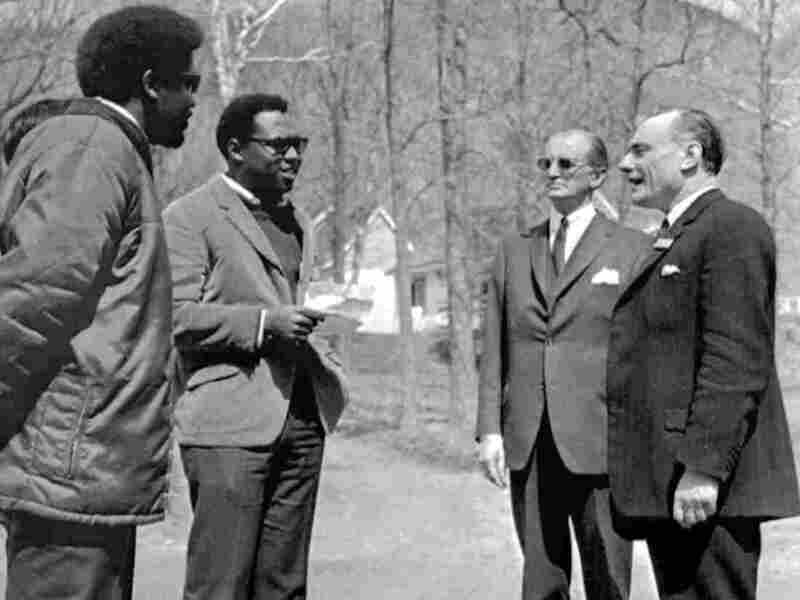 Britain's Conservative Party politician Enoch Powell, right, listens to two demonstrators in Canada in April 1968, reading a petition that describes him as a "racist." The law was intended to protect immigrants from Commonwealth nations, especially former colonies in the Caribbean, India and Pakistan. The first of these immigrants, 492 Jamaicans, had arrived 20 years earlier. Hundreds of thousands followed. 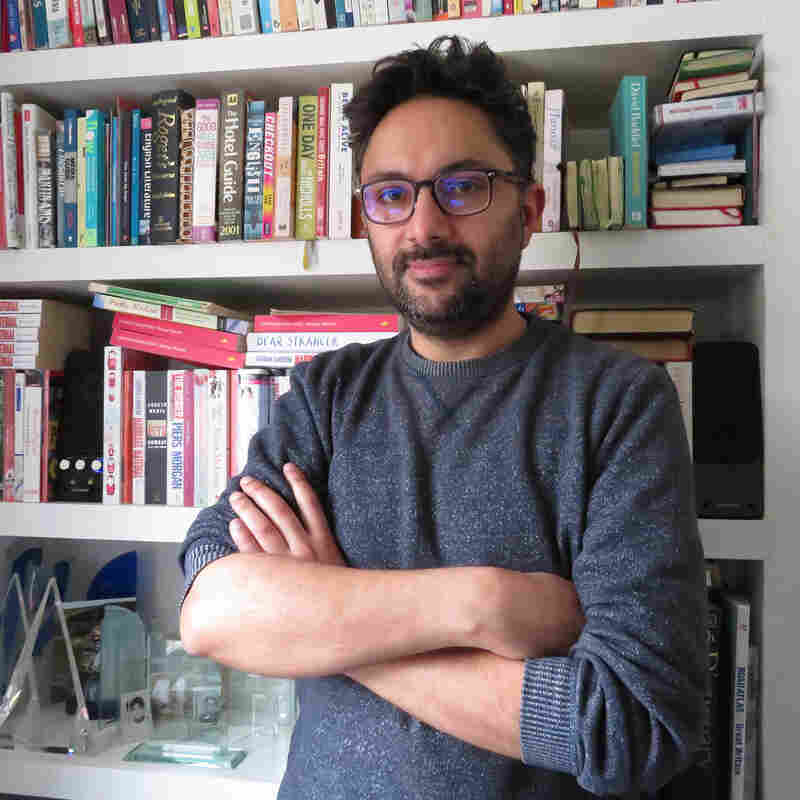 "The immigrants were called over," says Sathnam Sanghera, an author whose Sikh parents emigrated from India during that time. "There was a labor shortage. There weren't enough people to run the factories after the war." The immigrants were granted British citizenship and helped rebuild Britain after World War II. But they faced racism. Landlords wouldn't rent to them. Some employers turned them away. Tarsem Singh Sandhu, then a 23-year-old bus driver, lost his job when he refused to remove the turban he wore as part of his Sikh religion. The Race Relations Act was intended to protect immigrants like him. "But there came the idea that white people would be crushed by the rights that black and Asian people demanded," Sanghera recalls. The tension was especially obvious in Sanghera's hometown, Wolverhampton, in England's West Midlands, which he calls "one of the first cities in Britain to experience mass immigration." Enoch Powell, who represented Wolverhampton in Parliament, feared a race war coming because of mass immigration. On April 20, 1968, he took the stage at a Conservative Party event at the Midlands Hotel in Birmingham and gave an incendiary speech that would come to define him — and divide his country. Even now, 50 years later, there was outcry in the U.K. when BBC Radio 4 decided to broadcast an actor's reading of the speech last weekend. In the speech, Powell warned, "That tragic and intractable phenomenon which we watch with horror on the other side of the Atlantic ... is coming upon us here by our own volition and our own neglect." He attacked the bill that outlawed discrimination. He said it was whites who were facing deprivation and that Britain "must be mad, literally mad, as a nation to be permitting" large numbers of immigrants to enter. "The discrimination and the deprivation, the sense of alarm and of resentment, lies not with the immigrant population but with those among whom they have come and are still coming," he said. "This is why to enact legislation of the kind before Parliament at this moment is to risk throwing a match onto gunpowder." Smithfield meat porters march to Parliament to hand in a petition backing British politician Enoch Powell, on April 25, 1968, five days after Powell's "Rivers of Blood" speech. He quoted a constituent — "a middle-aged, quite ordinary working man employed in one of our nationalized industries" — who was encouraging his children to leave England. "In this country," Powell quoted the man as saying, "in 15 or 20 years, the black man will have the whip hand over the white man." "I can already hear the chorus of execration," Powell continued. "How dare I say such a horrible thing? How dare I stir up trouble and inflame feelings by repeating such a conversation? My answer is that I do not have the right not to do so." Powell said inviting mass immigration was akin to "watching a nation busily engaged in heaping up its own funeral pyre." A classics scholar, Powell also quoted Virgil's Aeneid. "As I look ahead," he said, "I am filled with foreboding; like the Roman, I seem to see 'the River Tiber foaming with much blood.' "
Powell's address became known as the "Rivers of Blood" speech. The Times of London immediately labeled it an "evil speech." Conservative Party leader Edward Heath dismissed Powell from the party leadership. "I consider the speech he made in Birmingham yesterday to have been racialist in tone and liable to exacerbate racial tensions," Heath said. But polls showed a majority of Britons supported Powell. 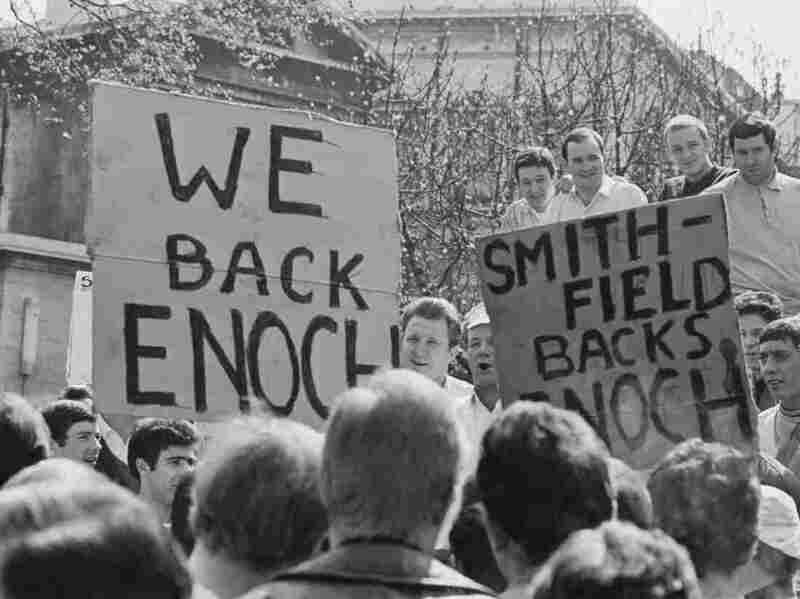 Many protested, saying, "Enoch was right." The speech emboldened racists. Uteldra Veronica Warren, who's from Jamaica, remembers how white schoolchildren chased her mother down the street, trying to lift up her skirt, yelling, "Let me see your tail, I heard you people have tails." Eleanor Smith's parents emigrated from Barbados to the English city of Birmingham. She's now a member of Parliament, representing the same district Enoch Powell once did. "When we got to school, they were calling us: 'Blackies go home' and 'go back to the jungle,' " recalls Eleanor Smith, whose parents emigrated from Barbados to the English city of Birmingham and who was a schoolgirl at the time. "You didn't know who to turn to. You didn't go to your teachers. You just kind of fought back if you had to." Mike Edwards, then 8, a white grade-schooler whose best friend was black, remembers seeing graffiti in Wolverhampton with swastikas and racist slurs. The Beatles even referenced the controversy in an early version of "Get Back" called "The Commonwealth Song." "Dirty Enoch Powell said to the immigrants, immigrants you better get back to your Commonwealth homes," Paul McCartney sang. Powell's "main worry in making that speech in 1968 was about things happening against the will of the British people, without them being consulted," says historian Simon Heffer, Powell's official biographer. Powell saw that the new immigrants were arriving in huge numbers, Heffer says, and instead of integrating, were living in separate communities. "He feared that would cause great racial tensions," Heffer says. "And he didn't want to live in a country full of racial tension." But Britain thrived as even more immigrants arrived. The Race Relations Act became law. "Enoch Powell was wrong," says Edwards, now a teacher of trade union studies at Shrewsbury College. After "Rivers of Blood," Powell became a pariah in politics. "I mean, throughout British political history, if you ever said 'Enoch was right,' you lost your job," says Sanghera, the writer from Wolverhampton. "So it just became easier not to talk about it." Powell, who died in 1998, once said that all political careers end in failure. But in a documentary, he said, "I hear my voice coming through by what is said." His echoes could be heard in 2016, during Britain's debate to leave the European Union. "The biggest single issue in the Brexit debate was immigration," said Nigel Hastilow, a columnist with the Wolverhampton Express & Star newspaper and a former politician who was dropped by the Conservative Party in 2007 after writing a column arguing that "Enoch was right" when it came to immigration. "People who want to allow immigration on a grand scale protect that argument by saying anyone who criticizes [immigration] is by definition a racist," he says. "And unfortunately, if you include the words 'Enoch Powell' in the conversation, that helps them to reinforce their argument." As Brexit unfolded, playwright Chris Hannan wrote a play about Powell called What Shadows. "One of the points [Powell] makes in his speech is that the white people of England have begun to feel like a persecuted minority," Hannan says. "And they continue to think of themselves that way. It's created massive division in this country, a terrible division in matters of identity and matters of immigration." Those divisions played out with the Brexit vote in 2016, and more recently, Brexit has even threatened the legal residency of up to 50,000 people who emigrated to Britain before 1971 and face possible deportation now. Wolverhampton, the city Powell represented, is now a place that's comfortable with diversity. "This is a modern, multicultural city where relations between the different faiths, different cultures, are pretty tolerant and harmonious," says the Rev. Clive Gregory, the city's Anglican bishop. "After Powell's speech, there was an interfaith movement set up. We try to do everything together." Powell's former office now houses the Heritage Center, an African-Caribbean community center hosting reggae nights and history classes. When he was a 23-year-old bus driver, Tarsem Singh Sandhu lost his job when he refused to remove the turban he wore as part of his Sikh religion. Now 72, Sandhu is a successful entrepreneur and president of the largest Sikh temple in Wolverhampton. Uteldra Veronica Warren, the British-Jamaican whose mother was harassed by white children, is now 82 and plays dominoes there. "Can you imagine Enoch Powell sitting there and wondering how did we get in here?" she says, laughing. "And his ghost probably sitting there watching us?" 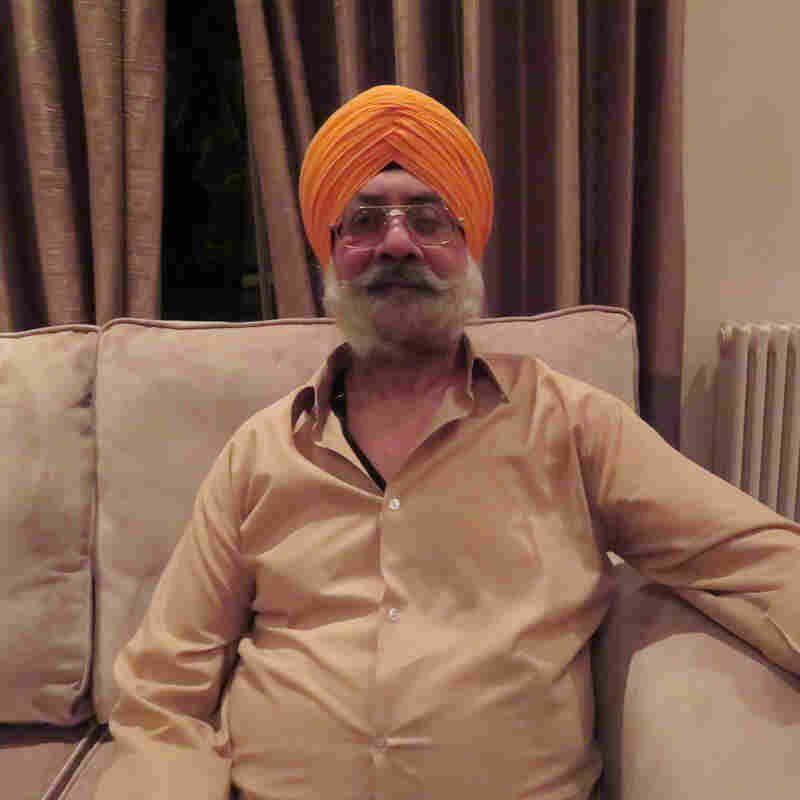 Tarsem Singh Sandhu, the former bus driver who refused to take off his turban, is now 72 and a successful entrepreneur. He's president of the largest Sikh temple in Wolverhampton. He says he actually liked Powell — the politician helped Sandhu bring a relative to the U.K. from India. "I know he never meant to go against the Asians or black people, because he wants to help his constituents, whoever they were," he says. "I think he just gave that speech for political reasons, and his speech flopped." Wolverhampton is now represented by Eleanor Smith, the daughter of Barbadian immigrants who was taunted as a young girl after his speech. Smith is speaking Friday at an event in the same hotel in Birmingham where Powell warned of a race war — but this event will celebrate Britain's diversity. It's called "Rivers of Love." "I'm very proud of the way that Wolverhampton has moved on," says Smith in her parliamentary office in London. 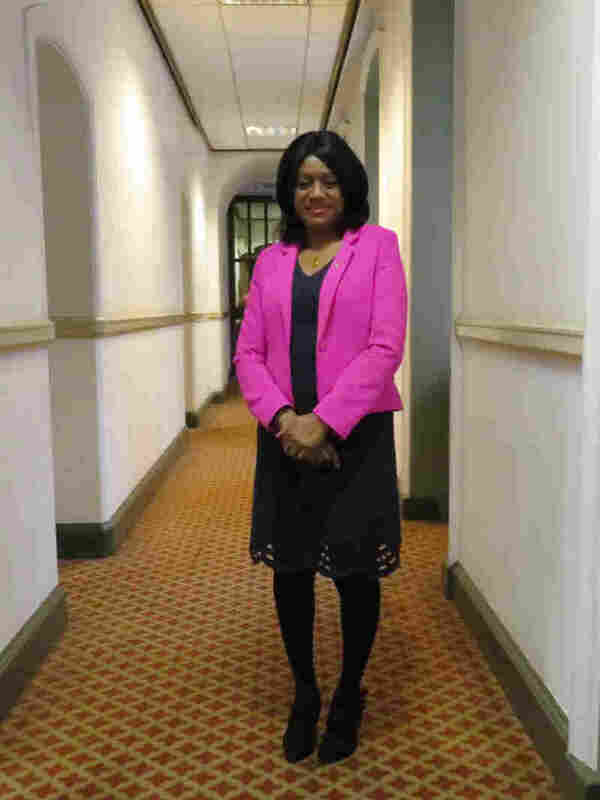 "Wolverhampton has moved on to such a point where it's now become a city of sanctuary, where people are welcomed — asylum-seekers, migrant workers. I mean, that speaks for itself — doesn't it?" Producer Rebecca Kenna contributed reporting from Wolverhampton. The BBC's Sam Alwyine-Mosley and Pete Ross contributed from London.